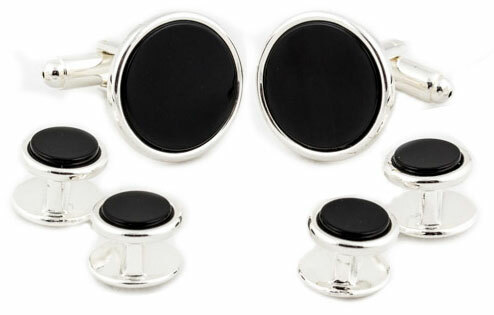 You walk into a crowded room of revelers at a very formal event and subtly adjust the sleek Sterling Silver Plated Onyx Formal Set that adorns your shirt buttons and sleeves. 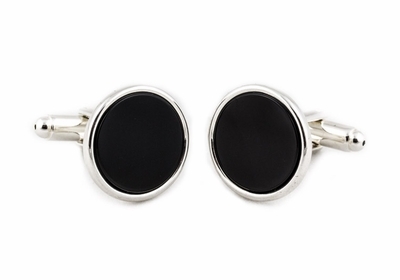 Fellow revelers immediately notice the finely buffed authentic Onyx that complements the style of your tuxedo shirt. 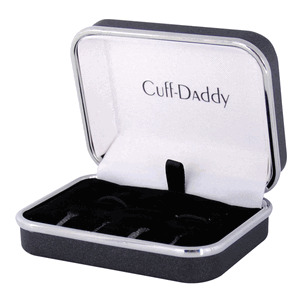 Cuff Daddy designed the studs to be larger than average studs to make a more pronounced fashion statement. 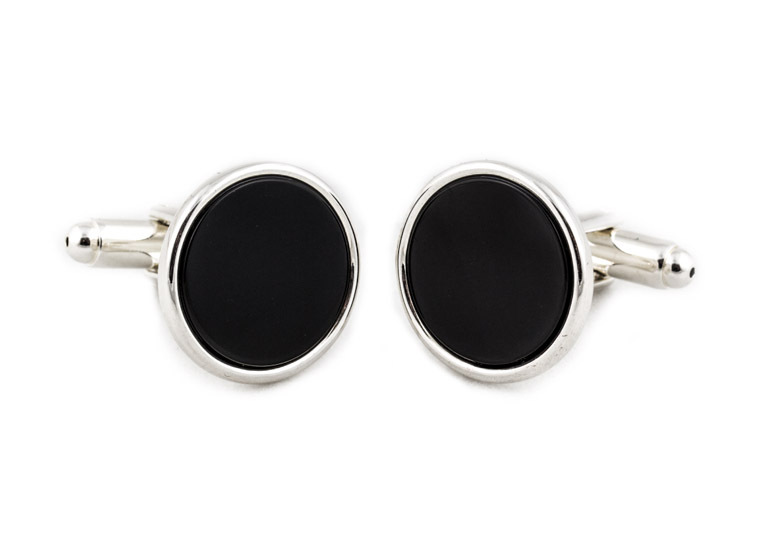 The sparkling sterling silver mount provides the consummate backdrop for the understated onyx cufflink surface.